The communion of saints (in Latin, communio sanctorum), when referred to persons, is the spiritual union of the members of the Christian Church, living and the dead, those on earth, in heaven, and, for those who believe in purgatory, those also who are in that state of purification. They are all part of a single "mystical body", with Christ as the head, in which each member contributes to the good of all and shares in the welfare of all. Belief in the communion of saints is affirmed in the Apostles' Creed. In Catholic terminology, the communion of saints is thus said to comprise the church militant (those alive on earth), the church penitent (those undergoing purification in purgatory in preparation for heaven), and the church triumphant (those already in heaven). The damned are not a part of the communion of saints. The Roman Catholic Church, the Old Catholic Church, the Eastern Orthodox Church, the Oriental Orthodox Church, the Church of the East and some elements in the Anglican Communion point to this doctrine in support of their practice of asking the intercession of saints in heaven, whose prayers (cf. Revelation 5:8) are seen as helping their fellow Christians on earth. Roman Catholic and Orthodox churches refer to this doctrine in support of the practice of praying for the dead (as some interpreters see in 2 Timothy 1:16-18). The Anglican tradition has been ambivalent about prayers for the dead historically, sometimes embracing and other times rejecting the practice. The double and often conflicting influence of Luther and Calvin, with a lingering memory of Catholic orthodoxy, is felt in the Anglican Confessions. 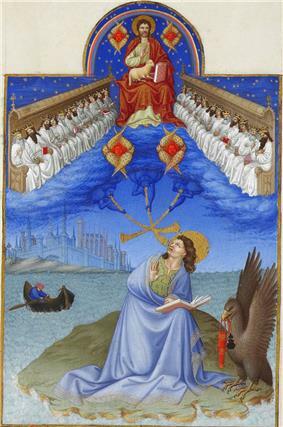 On this point the Thirty-nine Articles are decidedly Lutheran, rejecting as they do "the Romish Doctrine concerning Purgatory, Pardons, Worshipping and Adoration as well of Images as of Relics, and also Invocation of Saints", because they see in it "a fond thing, vainly invented, and grounded upon no warranty of Scripture, but rather repugnant to the Word of God". On the other hand, the Westminster Confession, while ignoring the Suffering and the Triumphant Church, goes beyond the Calvinistic view and falls little short of the Catholic doctrine with regard to the faithful on earth, who, it says,, "being united to one another in love, have communion in each other's gifts and graces". In the United States, the Methodist Articles of Religion, 1784, as well as the Reformed Episcopal Articles of Religion, 1875, follow the teachings of the Thirty-nine Articles, whereas the teaching of the Westminster Confession is adopted in the Philadelphia Baptist Confession, 1688, and in the Confession of the Cumberland Presbyterian Church, 1829. Protestant theologians, just as Protestant confessions, waver between the Lutheran and the Calvinistic view. Lutheranism however does affirm that the church militant, church suffering and church triumphant share a common goal and thus do pray for one another however shy away from the invoking the church triumphant as an intercessor so as not to confuse them as mediator. The Communion of Saints are Christ's Body "Spiritual Israel", the 144,000 sealed in the book of Revelations as distinct from the countless multitude from every nation, tribe, people and language who attain salvation.